T-Mobile and Verizon handsets are currently receiving the latest Android 6.0 Marshmallow update, but only the ones released in the recent past are in line for this new OS. Those using HTC One M8 on T-Mobile can now get the latest Android Marshmallow update on their devices right away. The same also applies for the pocket-friendly LG G Stylo, which had been listed by the Life’s Good crew as among the devices to receive this operating system upgrade. While this is happening, those using the One M8 on Verizon can also take some time to upgrade this smartphone to the new software version. As usual, the OS brings the latest updates and features from Google as well as tweaks included by the manufacturers. As far as the slightly older HTC One M8 Marshmallow update is concerned, T-Mobile users will now get to version 6.20.531.5 of the software. However, those using Verizon will notice a slight difference in the version, which comes to 6.21.605.3; however, the same capabilities will be at play on both carriers. The update will bring some much-needed additions such as easier screenshot capture, new controls for notifications and alarms, Doze mode, Google Now on Tap as well as an enhanced app permission system, among many others. HTC One M8 was unveiled more than two years ago and in fact; this might just be the last major OS update coming to this device. As a result, it is important that you upgrade to this new version in order to take advantage of all the goodies included in the new Marshmallow OS. The One M8 was launched with Android 4.4.2 KitKat, powered by a quad-core Snapdragon 801 chipset that is supported by a RAM of 2GB and has a display size of 5.0 inches. It had previously been reported that LG G3 Marshmallow update will start rolling out today. 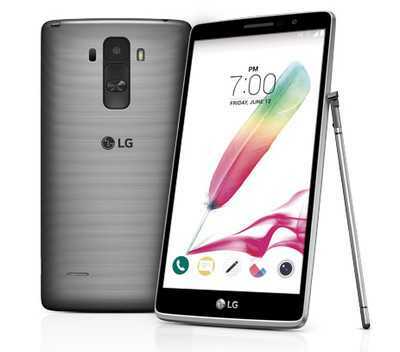 While still waiting for this, those on the much affordable LG G Stylo can now update to the latest Marshmallow OS. However, this is only available on T-Mobile and requires storage volume of about 1GB since the update is 767MB in size. If you haven’t received the LG G Stylo Marshmallow update, there is nothing really to worry about as the company has said that the update will be rolling out gradually until March 21. It is just a matter of time before that OTA notification comes to your phone.